NEW! 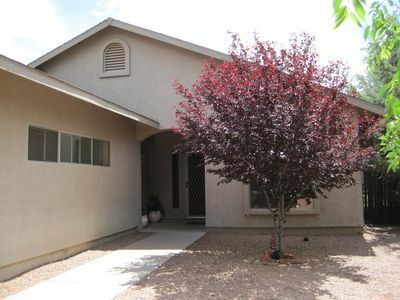 Modern 1BR Sedona Cottage w/ Community Pool! 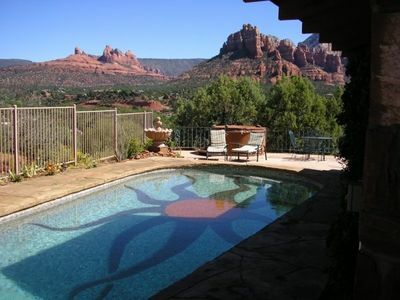 Head off to Red Rock Country when you stay at this 1-bedroom, 1-bathroom vacation rental cottage nestled on the western edge of Sedona! 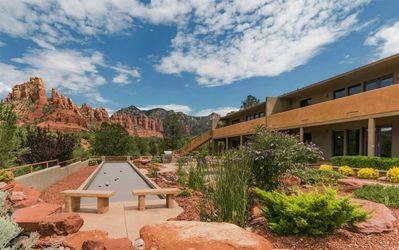 Boasting its own private deck, well-maintained landscaping, and comfortable accommodations to host 4 people, this resort offers unbeatable amenities, including the biggest pool in Sedona. 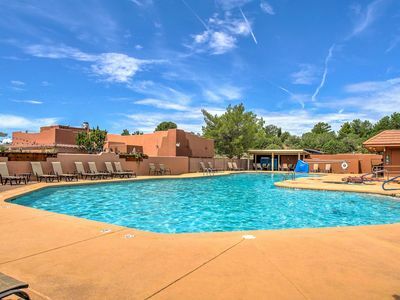 Relax by the pool or head off to the lively uptown of Sedona for some shopping, fine dining, and other exciting outdoor attractions by staying in this elegant Arizona cottage! 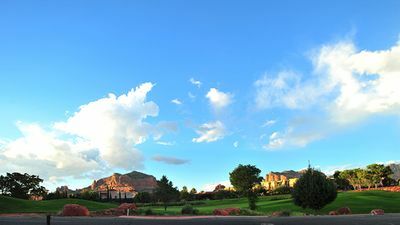 Admire the beautifully landscaped Sedona Pines Resort as you make your way to your vacation home. 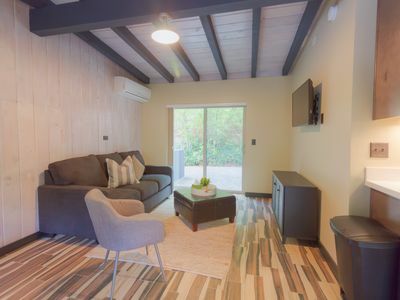 The Southwestern-themed cottage boasts plenty of natural light pouring through its floor-to-ceiling windows, tasteful decor, and all modern appliances! 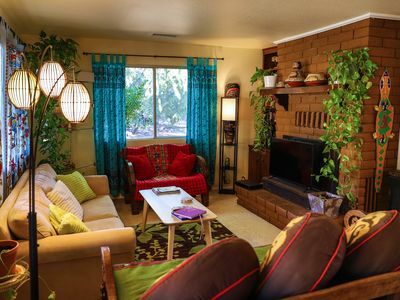 The home's living room boasts a plush couch and high cathedral ceilings. 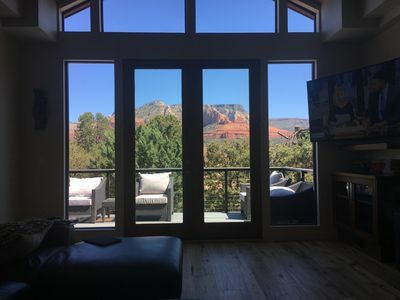 Sit back with a book and enjoy the red rock views around you! 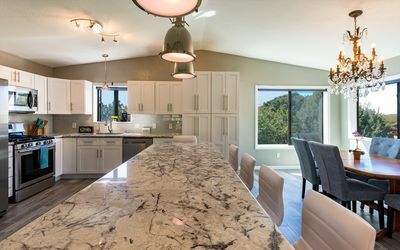 The living room opens freely to the kitchen and dining area. Experiment with some new recipes from the fully equipped kitchen before sliding into the half-booth, 4-person dining table to enjoy your meal. When you're ready to retire for the day, head to the bedroom to revitalize for another busy day in Sedona! Cuddle up in the cozy queen bed and open the windows to let fresh air breeze through as you sleep! In the morning, bring your warm coffee out to the porch, where you can lounge back and enjoy the beauty around you. Fire up the grill in the evenings for some mouthwatering barbecue. 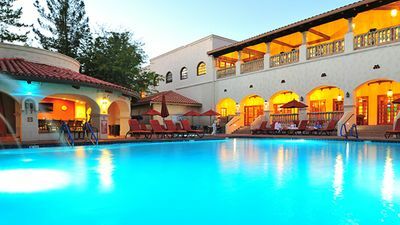 Grab your swimsuit and head to the community's swimming pool, which is the largest outdoor pool in Sedona. 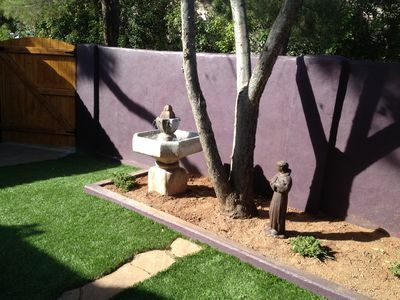 Soak up the sun all day poolside or even take a dip in the hot tubs on colder days. With so many wonderful community amenities, including the on-site Bella Vita Restaurante, you'll never want to leave the resort! 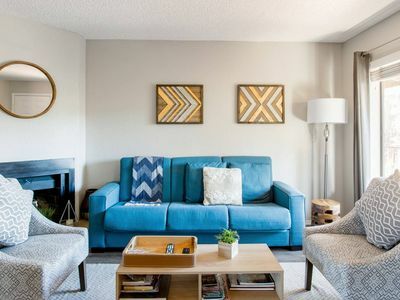 With so many wonderful community amenities and so much activity surrounding this property, you'll never run out of fun-filled days while staying here! Go back in time with an Old West show or a train ride, take a horseback ride through the beautiful Red Rock Country, or see the area from above with a hot air balloon ride. You won't want to miss out on all the beautiful hiking around you! 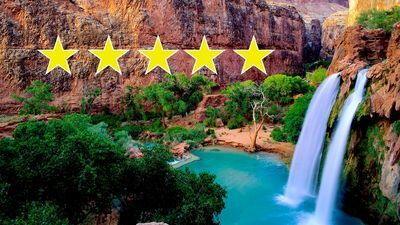 With the Grand Canyon just a short road trip away, the area is filled with remarkable views and scenery. 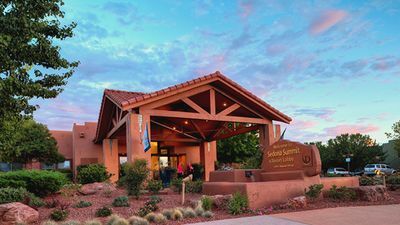 Head to uptown Sedona for some lively shopping and dining. In the morning, stop at the Red Rock Cafe for some southwestern cuisine and then at night try Cress on Oak Creek for a cozy dining atmosphere! 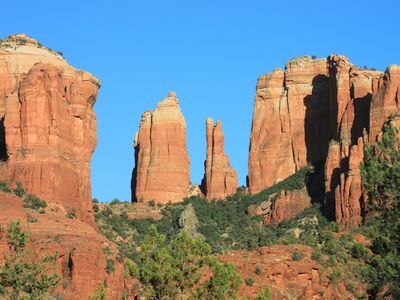 - Beautiful Sedona area - easy access to restaurants, nightlife, shopping, hiking, biking, sightseeing, tours, horseback riding, hot air ballooning, swimming, and much more!